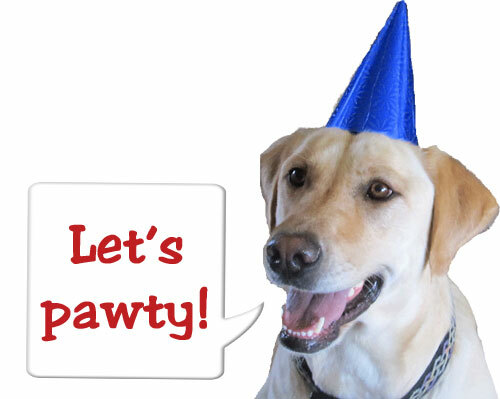 Not only is it Dog Song Saturday at Talking Dogs, it is the Saturday before our boy Rudy's birthday. He'll be 6 on Monday. Rosie and I thought today's dog song should include a yellow Labrador Retriever like Rudy and we finally decided we'd share a dog song and music video that we've shared previously. Why? Because Song My Dog Wrote is one of our favorite dog songs. It's a true original dog song written by Brendan Biondi. The music video is all about Brendan's yellow Lab, Calvin. AND part of the proceeds from sales of Songs My Dog Wrote go to support Dogs on Deployment. Add Songs My Dog Wrote to your favorite playlist and follow Brendan and Calvin on Instagram. Now, sit. Stay. Relax. Join birthday boy, Rudy listening to Song My Dog Wrote. Then fetch more dog songs and music videos at Talking Dogs. You'll be surprised at how many we've collected! What a great pre bday song. Have a good day, I'm thinking of you and Gary and sending my love! !